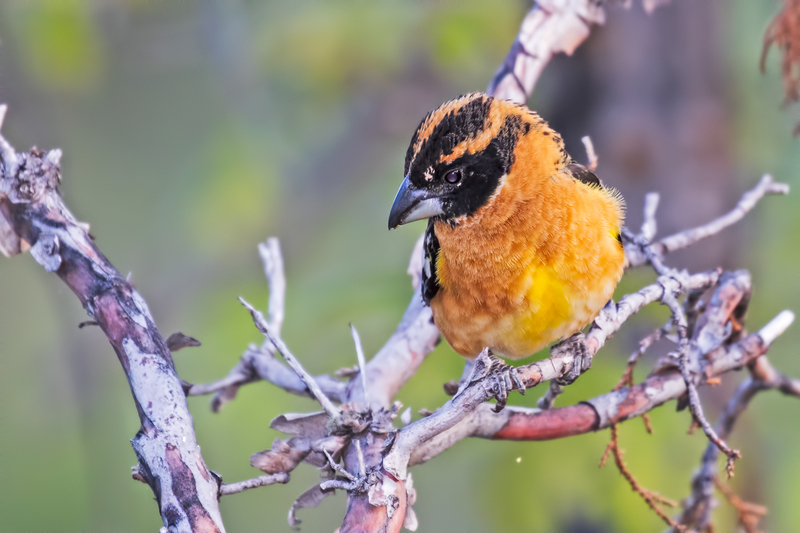 Pictures: I took these shots over the last few year when I can find these birds. Solar: I have sold some of the left over solar stuff that I had, mostly the parts that I had no way of carrying if I left, solar panels and the batteries. I also sold the Solar controler. 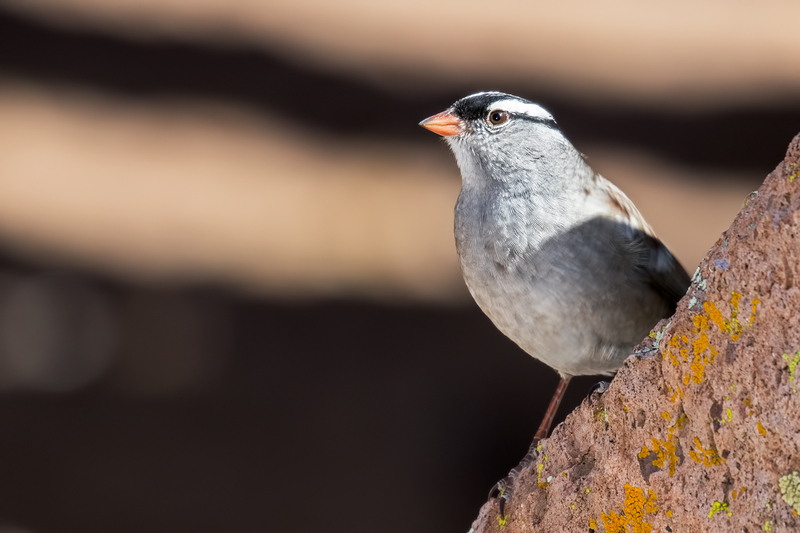 Now only the big item is left, which will be harder to sell because it is high dollar item, solar wise that is, and that is the 3500 watt Inverter/charger. I am loving my system with the 1000 watts of solar panels, it works better with the extra solar! 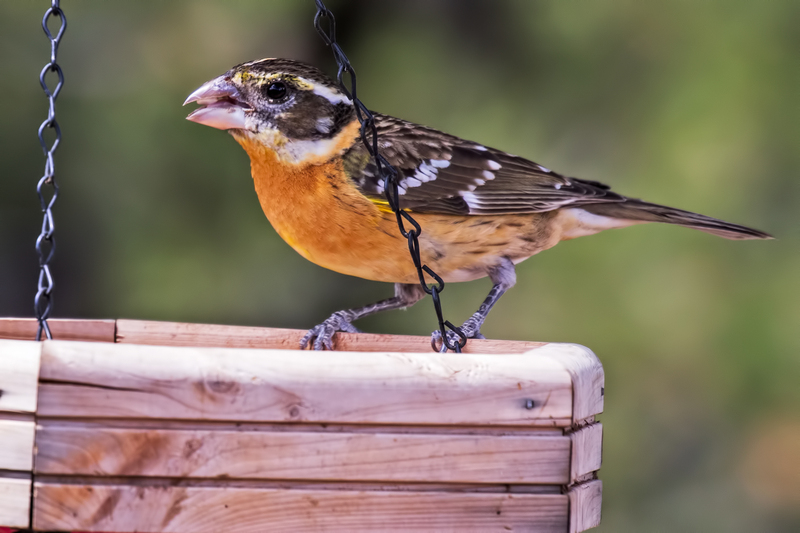 Pictures: Two shots of the female Black-headed Grosbeak. Exercise: I walked two miles this morning and the heel seems to be holding up pretty good. 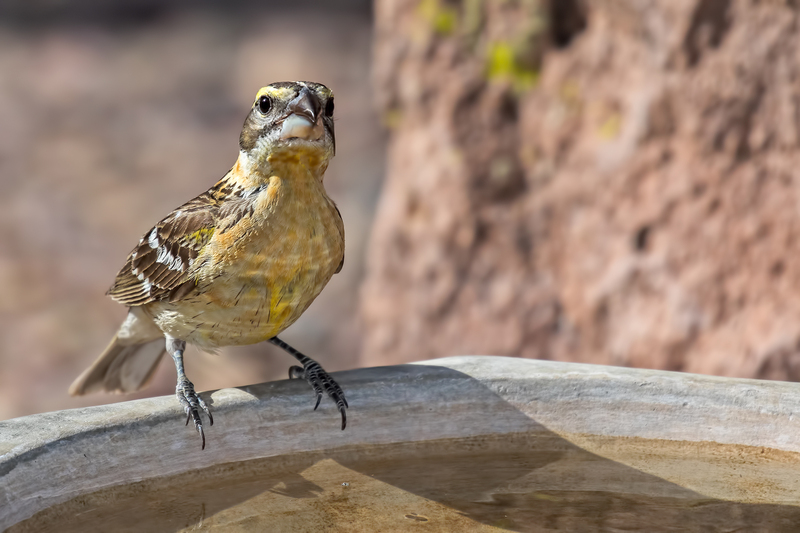 Weather: Hot and dry, 90° plus! 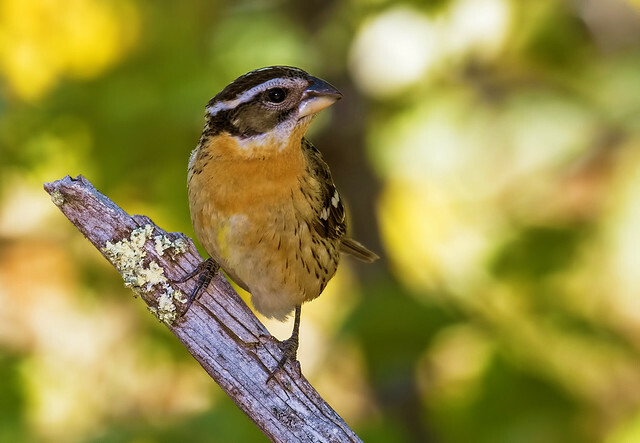 Pictures: Here is a White-crowned Sparrow and a Black-headed Grosbeak. 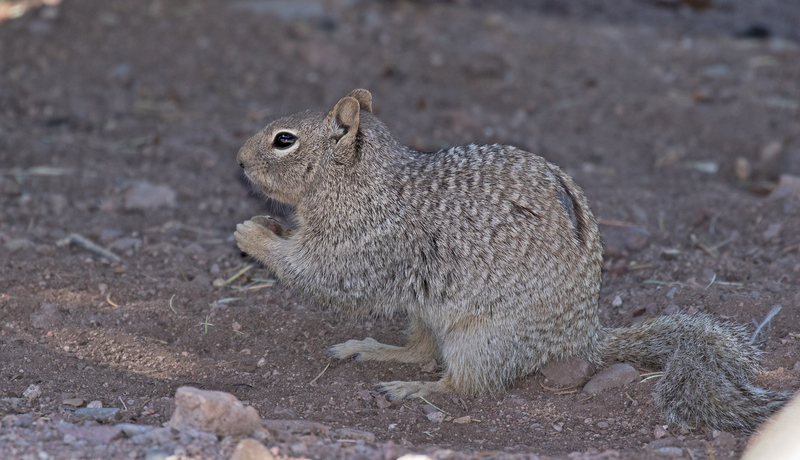 Exercise: I walked a mile this morning, maybe I’ll do a little walk later on this evening. 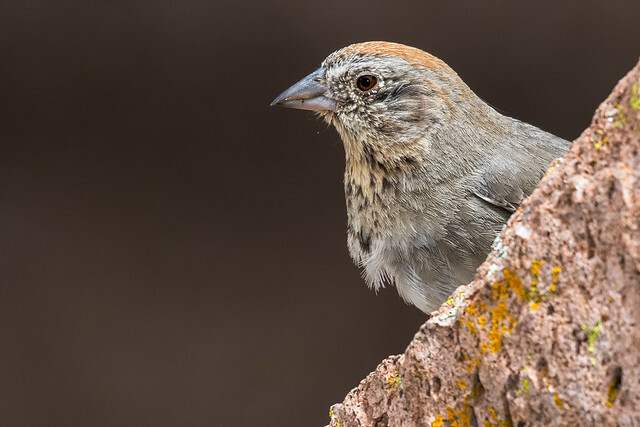 Birds, Who would Have Guess? 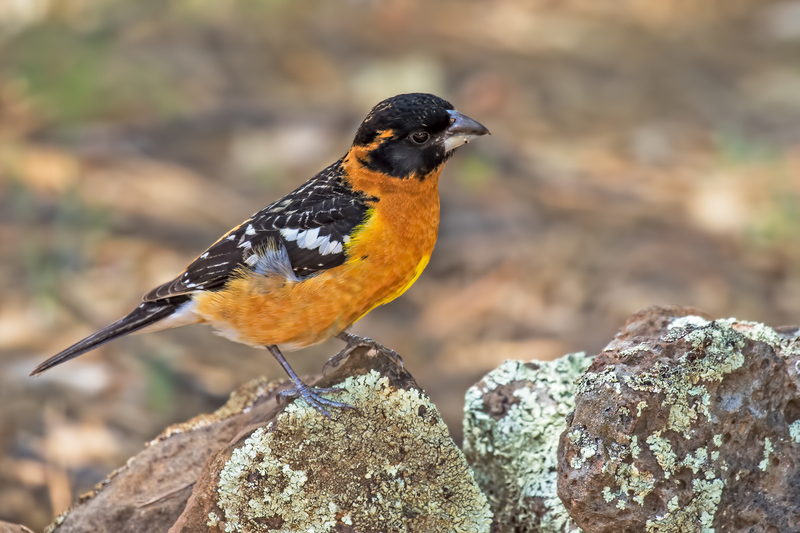 Pictures: A Black-headed Grosbeak and a Canyon Towhee. 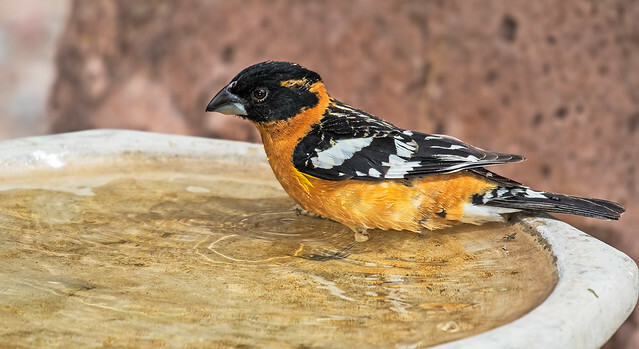 Pictures: A couple of odd ball shots of the Grosbeak. 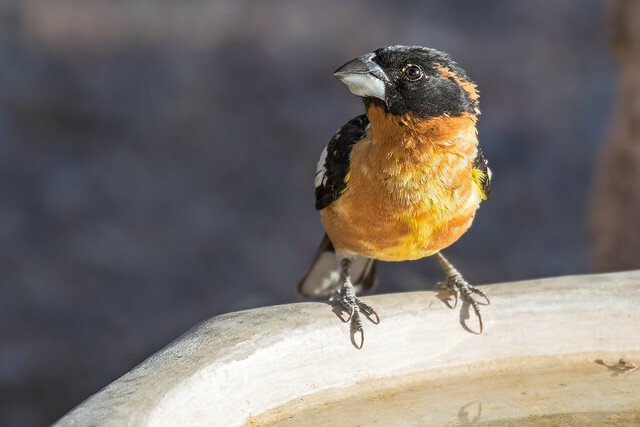 Grosbeak on a shoestring! 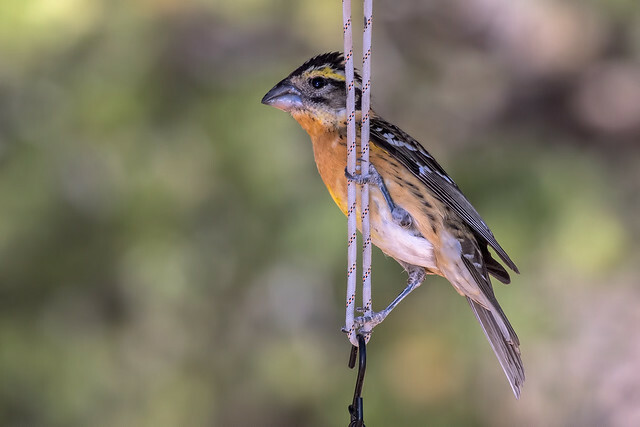 I hung my feeder on this old shoestring. 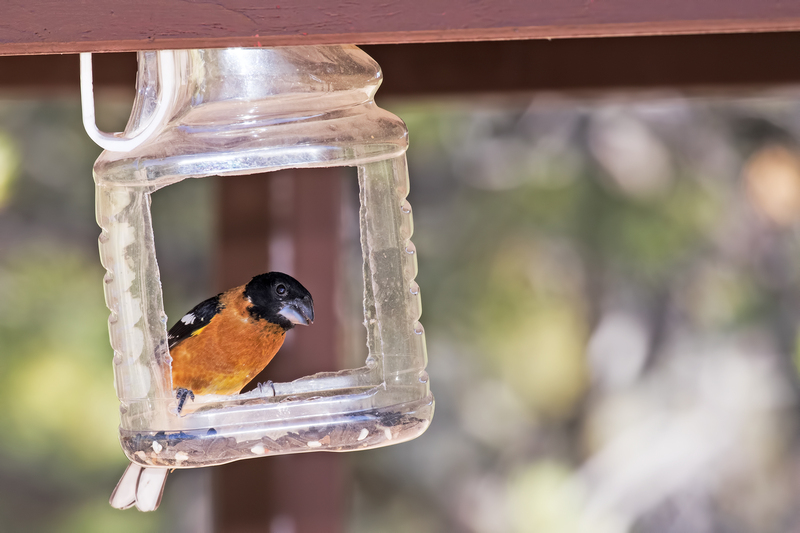 Grosbeak in a jug, the host of the Datil Campground make this home-made feeder. Exercise: I walked two miles this morning. 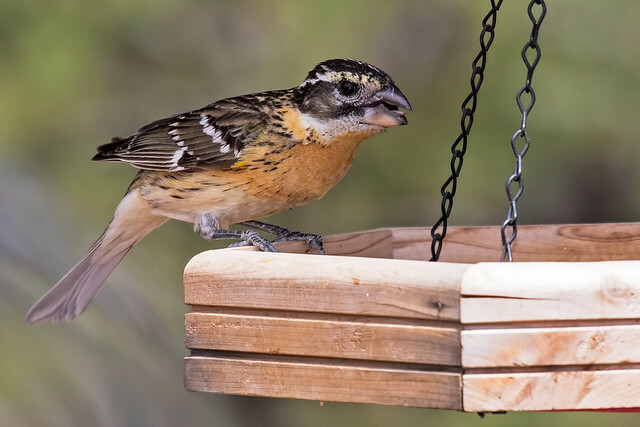 Pictures: Here is another shot of the male Black-headed Grosbeak and a Squirrel that like to visit. Exercise: I walked 2¼ miles this morning. I love the area for walking it has some hills but not too challenging and the trail lengths are a good fit for me about now. 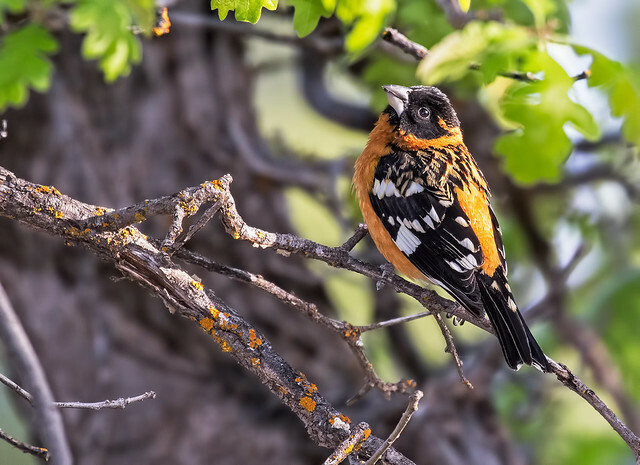 Pictures: Here is another pair of Black-headed Grosbeak. Exercise: We walked 3.4 miles today with the average pace was about 20 minute miles. A good walk.